Family Court has developed new terminology reflecting its attempt to develop alternative arrangements for the children of divorced and separated parents. These include: primary and secondary parents; shared and split custody, and parallel parenting. Exactly what are they and how much are they different from the traditional options: sole and joint custody? The terminology is relatively new, essentially replacing what used to be referred to as custodial and non- custodial parents or custodial and access/visitation parents. The primary/secondary parent arrangement means that the child lives mostly with one parent but also has shorter stays with the secondary parent. The use of this terminology might reflect the growing consensus that the child will benefit from having both parents actively involved, whereas the non-custodial and access/visitation terms seem to portray an uninvolved or minimized role for that parent. “Secondary” tries to avoid that negative connotation, perhaps in the hopes of encouraging a more inclusive role. Nevertheless, a synonym for secondary is subordinate. It’s still, as intended, a subordinate, parental role. Shared custody, as opposed to the primary/secondary approach, refers to a fifty/fifty split in the living arrangements. The child or children might spend one week with parent A, for example, and the next week with parent B. While this allows the child equal exposure and opportunity to develop relationships with both parents, certain things must be in place for this to work, such as proximity to school, friends and recreation. Children must be able to adapt to two homes and environments at a life stage when, as child-experts state, stability is an important factor. Parents will need to help provide it, in part, by establishing comparable parenting approaches, for instance ensuring that their child doesn’t play one parent against another, something children are pretty good at doing in any circumstance, as most parents can vouch. Split custody applies to couples with two or more children, and it is the children who are split. One or more children lives with parent A while the other(s) live with parent B. Separating children is clearly not an ideal solution, especially young children. 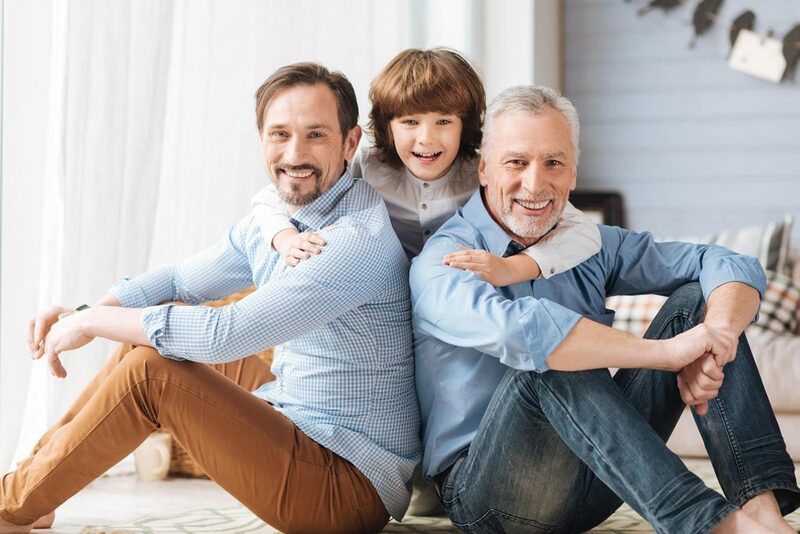 Situations when split custody can prove useful generally involve older children, as those in their teen years, when parental preference or even geographical circumstances might be significant. For example, a child chooses to attend a distant school with a special program; because the school happens to be much closer to the home of the second parent, living there will cut down on an otherwise difficult commute. Hopefully, the parents will provide time for the children to maintain their sibling relationships. Parallel parenting is a unique form of joint custody. Well known Ontario Justice Laskin explained that this type of custody can be useful in situations when both parents love the child and both want to be involved, but they are unable to communicate with one another and so they cannot make the compromises necessary to reach a common consensus. Accordingly, in parallel parenting, each parent has specific areas of jurisdiction: if one parent makes the education decisions, for example, the other might make health decisions. For this to work, however, there must be some ability to cooperate and work together and to respect the other parent’s decisions. Yet it is supposedly the parents’ inability to communicate that resulted in the use of parallel parenting custody in the first place; thus the question that the family court might well ask is whether the parents can communicate at least to the extent required by this arrangement. Our traditional custody choices have long been sole and joint. Sole custody appoints one parent to be fully responsible for, and in charge of, the child’s welfare, with the child residing with this parent. Barring a court order out of concern for the child’s well being, the other parent is granted visiting rights, or the child might stay with that parent for short periods. Sole parenting has traditionally been awarded to the mother, along with child support payments. Joint custody is an equal sharing of those decisions affecting the child’s life. Although the child resides with one parent along with mutually arranged time for staying with the other parent, both jointly share in the raising their child. When the parents put the interests of their child first, and can cooperate, communicate and compromise with each other, joint custody is always preferred. In a sense, each of these new custody models is a variation on sole and joint custody, adapted for a given circumstance. It’s interesting to note that as reported by Stats Can after the last census, “For married families with children, 18.6 per cent of children live with only one parent.” And of course, this doesn’t include separated common-law families. If children are society’s greatest resource, then there is a continuing need for ways to help parents and children to deal with the upheaval in their lives.